The titanium shows us its most sophisticated face transforming in delicate jewels. Jewelry that, thanks to the nature of this metal, we amazed by its lightness, comfort and durability. Features that make it the perfect material to come up with delicate designs as required by the wedding bands. 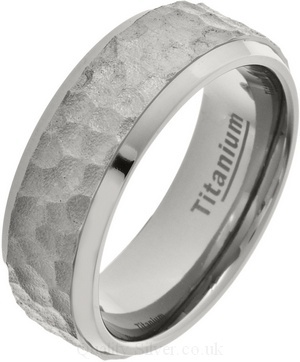 The versatility that has the titanium allows us to wear jewelry that until now was ¨impossible¨ to perform. The truth is that it is more difficult material to sculpt compared with other elements such as gold, for example. But it has more advantages than disadvantages. The imagination knows no limits when working with titanium. You can create more fine jewelry (thickness) with different prints which is not difficult to embed stones. This is impossible to perform with gold as the thickness is greater than this need to crimp stones safely. 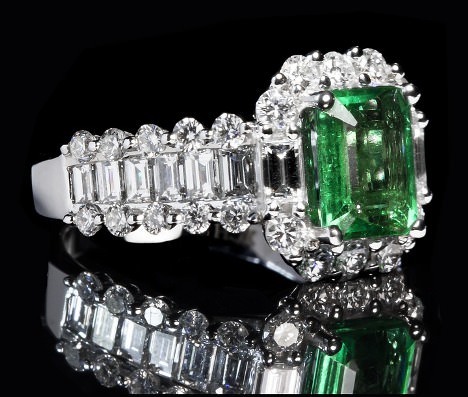 Furthermore, it is extremely light material resulting in a greater comfort to the rings. The gold is, in comparison, relatively heavy.